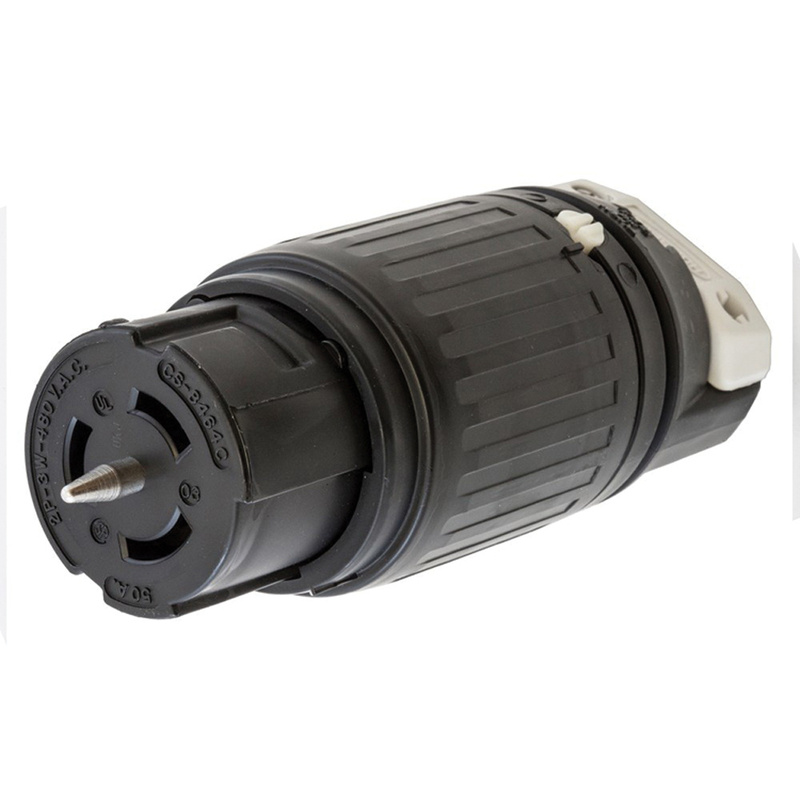 Hubbell-Wiring Twist-Lock® Polarized locking connector has heavy duty 2-piece external cord clamp that provides maximum strain relief. The thermoplastic polyester interior provides heat resistance and impact strength. It comes with box terminal hex socket threaded slug, that permits high clamping pressure on conductors without damaging strands. The locking connector meets UL 498 and CSA C22.2 No.42 standards.